This giveaway is open to US residents only and runs from April 24 through May 15, 2017. Good luck! 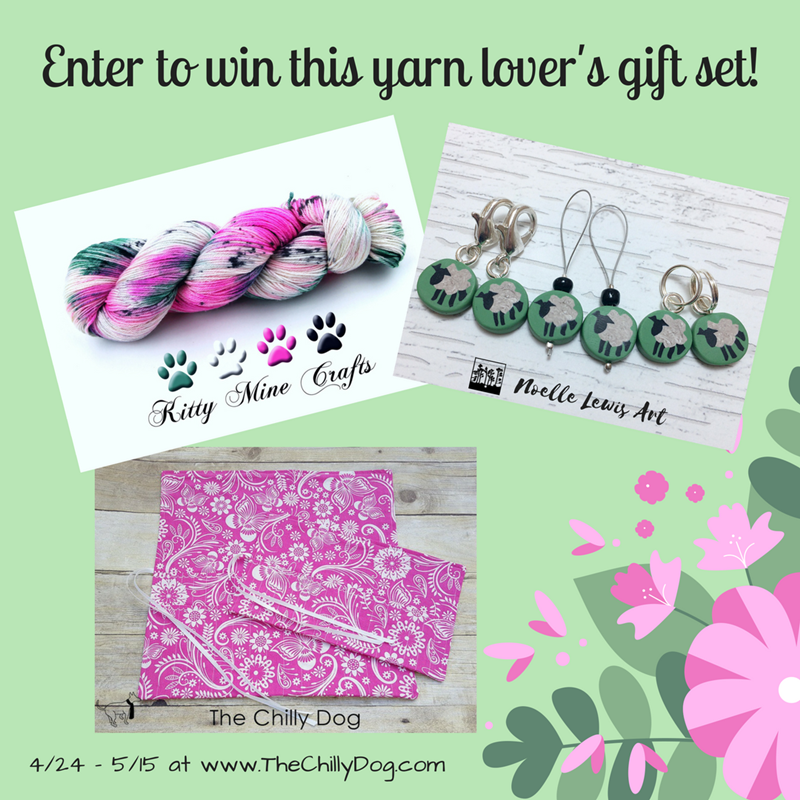 Enter to win a Yarn Lover's Gift Set including Indie dyed yarn from Kitty Mine Crafts, stitch markers from Noelle Lewis Art and a pair of hook and needle cases from The Chilly Dog.